Due to legal constraints, all Healthline audio clips will be removed on July 7th, 2015. "As a clinical nutritionist for over 35 years, he has successfully helped over 50,000 people. That's why we call it 'Nutrition that Really Works'. Today, he is going to share his premier nutritional secrets with you that have taken him years to discover, so stay tuned and get ready to call in with your own personal nutrition and health-related questions." The show airs in many places across the nation. Go to www.QNLabs.com to obtain the official list of cities and stations. Even if it's not in your city, you can listen on the web! (Check out my unofficial list with links to those stations' websites.) After I first heard the show in Jan. 2008, I said to myself, "This is soooo good I've got to record this and share the best parts with everyone!" I've seen numerous drugless, natural healing modalities over many years, but this system, Quantum Reflex Analysis, outshines them all! Dr. Marshall has so much health knowledge and successful clinical experience that often he can often tell callers what they could do help their problem even without a QRA exam! But in tough cases, he won't hesitate to direct them to a local QRA practitioner. Remember: The patented non-invasive testing procedure of QRA is bullet-proof when done by a certified practitioner and gets to all the systemic root causes! (And does so generally in less than 1 hour.) This is alternative medicine at its best! But even without an exam; even just on the radio, you will be amazed to hear from the top expert himself what can be done for problems you thought difficult or impossible to improve! And these are real people calling in with real-life situations! I believe this show is the best audio source of great health knowledge anywhere! And I'm humbly thrilled to be able to share with you some of the "Best of HealthLine Live". (Btw, I have no official connection to HealthLine; I've put together this site on my own.) I've also included a few links to articles and testimonies on this and other sites. The library has the main alphabetic section, plus a smaller section at the bottom containing PRL product descriptions, both audio and in PDF files. Inside the text of the links I provide, you'll see numbers in parentheses; these are durations. While I've tried to list the discussed topics within the filename itself, in some cases, they won't all fit. And in some cases, I duplicate a link among more than one condition. (Often people call in with more than one question.) I will occasionally update this page with new audio clips, so check back occasionally (or "contact page" me to be notified). Oh, there are a few audio clips of Dr. Heise mixed in as well. If you're not sure where to begin, begin your listening journey with QRA Features. Then listen to Interference Fields. Then go back and browse through the whole list looking for topics that you identify with in some way. If you don't know what QRA is, read the QRA F.A.Q. page (Frequently Asked Questions). Copy Link YOU CAN HELP YOUR FAMILY AND FRIENDS! Use Internet Explorer 7 or higher to view this page. If you know someone who suffers from a problem described in any one of these groups, click the dim yellow "Copy Link" button at the right margin. This will copy a link to your computer's clipboard. Then you can create an email to your friends. While writing the email, just paste the clipboard into your letter; and voila! Your email now has a direct link to that very spot on this web page! Copy Link NEWSFLASH: 7/7/2010: Dr. Marshall gives the introduction to a ZYTO teleconference. He gives the FULLEST report anywhere of his agonizing and near-fatal tryptophan poisoning, a GREAT story! In addition, he describes the key elements of QRA, how he founded the company, and introduces an electronic breakthrough that builds on QRA to make an even better system for bringing healing to the world! Click here to listen to this amazing 12 min. clip: Eosinophilia-myalgia syndrome. Click here to see and hear the full 80-min. ZYTO Introduction Webinar. This webinar (audio and some video) is especially good for practitioners, but is enjoyable for laymen, too. CURRENT CONTENTS: January 2008 through March 2009. With rare exceptions, this is all that's there, for now. --- Oops. As of 7/7/2015, all clips recorded from the Healthline radio show have had to be removed. ALZHEIMERS. This can be helped. The degree is somewhat affected by how far the degradation has progressed. Read this short article, Alzheimer’s Disease can be...Resolved. See also Neurodegeneration. And read a BDORT affidavit about an amazing 1988 case of temporary reversal at a Bulgarian medical conference: Affidavit of Dr. Tcherkezova. BLOOD, LOW PLATELETS, LOW WHITE CELLS. BONE SPURS (and other calcium deposits). BREAST SIZE AND THE PITUITARY. CANCER. QRA can greatly help with this as well as augment other therapies. It's important to know that a QRA practitioner CAN work closely with an oncologist and other traditional practitioners in an integrative fashion. CHRONIC FATIGUE SYNDROME.Although we have no audio clips about this, QRA has been helpful. CROHN'S DISEASE. Can be helped, but can take a long time. DEMENTIA. I personally talked to a QRA doctor who's treated 2 serious cases of dementia, both with very good progress. Later I talked with still another who's significantly helped 3. See also Mental Illnesses. DENTAL ISSUES. See also Tartar. Please note that these clips are not the only places where dental matters are discussed. Tooth issues come up frequently throughout the collection. These here are merely the ones where a dental issue is the subject at hand. Dr. Marshall often recommends a document, Making the Right Dental Choice. While lengthy, this is worthy of serious review by almost everyone, as nearly everyone has fillings, crowns, etc. DIABETES (both types).Signficant help, especially when coordinated with an endocrinologist. Type I cases may be influenced by how long they've had it (how many beta cells are left). EOSINOPHILIA-MYALGIA SYNDROME.The FULLEST report we have of him describing his agonizing and near-fatal tryptophan poisoning; a GREAT story! He also describes the key elements of QRA and other relevant items. EPILEPSY (most kinds).Although we have no audio clips about this yet, QRA has been successful with it! GALLBLADDER ISSUES.Yes, there are a lot of these GB clips. But if you have gallbladder trouble OR you've had yours REMOVED, listening to all of these is a must! HIVES. QRA has been helpful with this. LACTATION ISSUES. Increasing breast milk for nursing mothers; other breastfeeding advice. See also Yeast Flakes. LYME DISEASE.The core process of stripping the protective coating off the spirochetes so the immune system can destroy them, is very fast, 30 days or less. However, there can still be a lot of work beforehand and afterward. The body may need weeks or months of preparation before the core process can begin. And if Lyme has been active for a long time, the damage it causes could take a long time to heal after the core process (killing the spirochetes) is over. MARSHALL, DR, MISCELLANEOUS. See also EOSINOPHILIA-MYALGIA SYNDROME for his fuller personal story! MULTIPLE SCLEROSIS (MS) Whereas most conditions give response to QRA in 3-6 months, MS (as well as cancer and Crohn's disease) often take longer and depends on how long they've had it. One young mother was so thrilled about her progress that she built a whole website devoted to her story! See the link below to get to MSReversed.com. See also Neurodegeneration. NEURODEGENERATION. Here is an article by Dr. Marshall on The Overlooked Role of Chronic Infection in Neurodegeneration and Its Reversal. While parts are rather technical, it is very good, as well as heavily footnoted. Relevant to anyone with Alzheimer's, Parkinson's, amyotrophic lateral sclerosis (ALS or Lou Gehrig's), multiple sclerosis (MS) and others. The tables in it are lengthy and a bit overwhelming to the layman, but the text portions are easier to follow. After reading this you might be encouraged that so much can be done, but discouraged at the mountain of stuff. Take comfort that a QRA exam will narrow it all down to the best and exact steps to take for EACH particular case. QRA OBSTACLES. Dr. Heise discusses one avoidable situation where QRA doesn't work. QRA PRACTITIONER RADIO ADS. These were recorded off the radio from different stations. It's pretty neat to hear various QRA practitioners promote their service. Some include comments by Dr. Marshall. If you know of one not on here, please let me know so I can record it and share it here. RUNNY NOSE (in cold air or when eating soup). STOOL TESTS FOR PARASITES, FAULTY. SYNTHROID USE. See Hypothyroidism and Thyroid. VACCINATION.I learned of the flaws in vaccination philosophy in the late 70's, but it's taken on a new importance in 2009 due to recent political changes. WATER CHOICES AND USAGE GUIDELINES. --HCL Detox Kit - This is 2 products, Betaine Hydrochloride. --Heavy Metal Nano-Detox - This is used internally, and often as the liquid with Medi-Body Packs. --Medi-Body Pack - Listen to much important info under Interference Fields. --PH Trio - This is Coral Legend (aka Coral Complex), Aloe, and Cod Liver Oil. Minerals is the key issue. 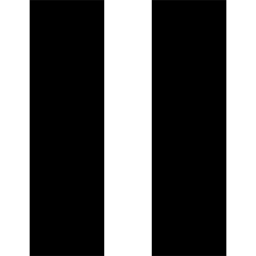 Page created by PHP in 0.007736 seconds.